The Olympics are a time when greatness is on display. 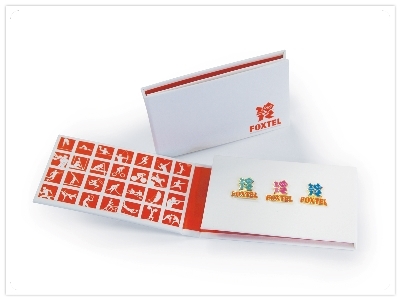 When Walkin' Promotions secured the development of the merchandise for Foxtel , their team felt the range needed to reflect the same values. 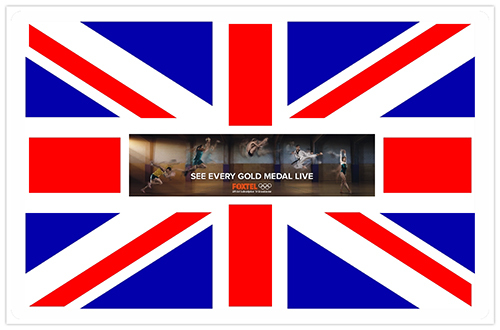 Walkin' Promotions were provided 100% creativity over the design but were required to meet strict deadlines, seamless execution expectations and all within compliance of the IOC's strict branding regulations. Walkin' Promotions was then challenged with a logo swap mid way through the production range and 63 new artwork approvals , but they never faltered and met all of the deadlines and deliveries. Walkin' Promotions then exceeded past the high service already provided by individually customizing every recipeints bag to the persons individual sizing and needs and then arranging the bags alphabetically so the client had ease of distribution. Foxtel were ecstatic with the results.